Dog Science Unleashed: Fun Activities To Do with Your Canine Companion, by Jodi Wheeler-Toppen. National Geographic Kids, 2018. 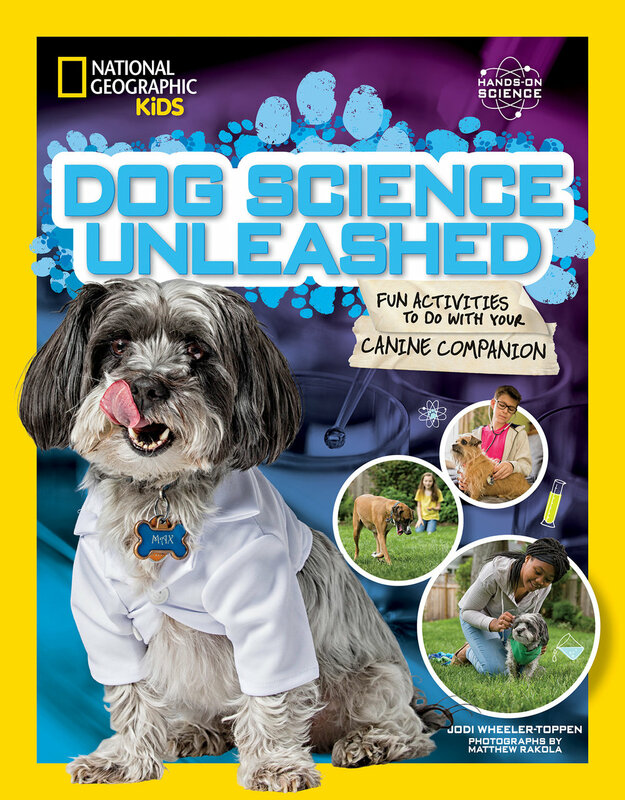 Round up your pup and get started on some doggone good science! Discover 22 safe and dog-friendly activities you can enjoy alongside your canine companion while exploring what makes Fido tick. Uncover the secrets behind how your pooch moves, drinks, stays warm, gets clean, cools off, and so much more. With awesome activities, fascinating information about the world of dogs, suggestions for further learning, and a behind-the-scenes look at groundbreaking canine research, this book will have you howling for more!